Are you ready to enhance the health and appearance of your skin? Visit the cosmetic leaders at Selife Plastic Surgery and discover the new innovation in aesthetics medicine, the automated Micro-Needling treatment with MicroPen™, Ultherapy, Isolaz and more. 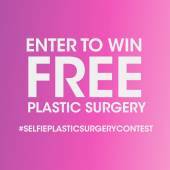 Why choose Selfie Plastic Surgery? Exceptional, Experienced and Innovative Board Certified Plastic Surgeons only. Have your procedure done in a private AAAASF Accredited facility that features a state-of-the-art, fully-equipped operating room in a convenient midtown location and comfortable setting. Top Technological advances and Techniques used. Compassionate, Dedicated Medical Staff and Customer Services. We also speak Spanish and Russian and specialize in treating all ethnicities. 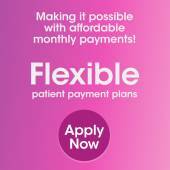 Easy, Flexible Financing options available. Best pricing available in the Tri-state Area. Top Brazilian Buttlift Surgery in NYC. Always Free Consultations Available. and so much more! Dr. Fallek and his staff are so wonderful in everything they do! Dr. Fallek and Cris are just the perfect team.. They make you feel very welcome and are so knowledgeable and willing to help with just about anything. I wouldn’t go to anyone else. So far it’s good lets see when the swelling goes down! Excellent doctor. Dr. fallek did a fantastic job and i would recommend anyone to go to him. Very little pain and i was left with little bruising and swelling. Very professional. Excellent!!!! I went to this surgeon wheepy eyed and crying after i had a horrible revision surgery. Very scared to trust another surgeon, this one is kind and caring. The staff go above and beyond to help you with not just the surgery but they check on you, always call before and after to see how you are doing and to see what else they can do to help. I am only 1 week post op but I cant be more thankful to find these group of people in my area. Imagine what your next Selfie can look like. 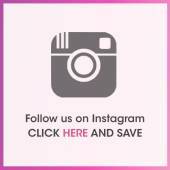 Goodbye to Photo Shop and Instagram Filters! We all want to look our best in photos, especially if those photos are posted on the internet for everyone to see. Selfies have become a popular form of expression in social media.People want to look like their digitally altered pictures all the time, and are asking our doctorsfor a social media makeover. People in the past used to bring in magazine pictures of their favorite celebrity they aspired to look like .Nowadays patients bring in their personal selfies filtered through Instagram or another one of many iPhone editing Apps, and request to look like that. 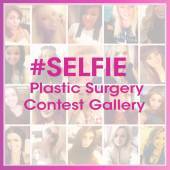 We encourage patients to submit selfies as they help us understand the needs and desires of our prospective patients. Sending your selfie to us helps ensure a quick and seamless way to get an accurate response to your questions. At Selfie plastic Surgery we understand your need to look your personal best in the digital age of Internet dating sites like Tinder or the Online Professional Network LinkedIn. Imagine your next beautiful selfie and then call us to make that vison a reality. It is much more affordable than you think. Contact us on how you can have your dream procedure for approximately the cost of your daily Grande Caramel Frappuccino. Some of our surgical procedures include – face lifting, breast augmentation, liposuction and more! You can find the complete info from here!